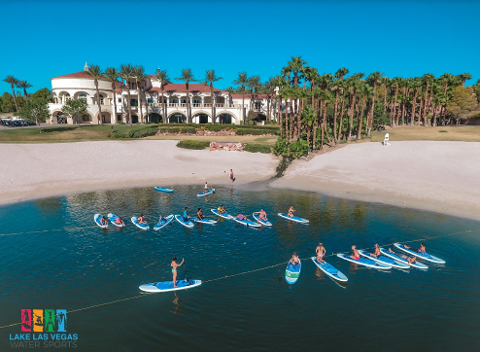 Come join Tiffany Zoldan for SUP yoga at Lake Las Vegas! Class will start with a short Stand Up Paddle lesson. Tiffany will then lead you through an active, fun, and playful practice on the water. All levels will be accommodated. 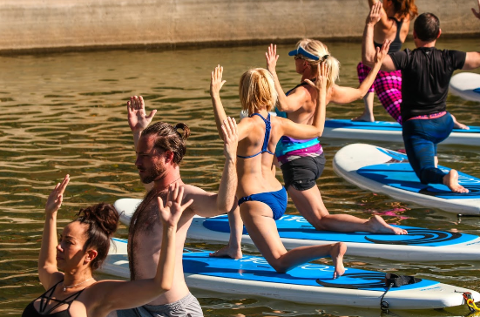 Newbies to both yoga and stand up paddle boarding are welcome. Class includes A SUP board, paddle, and memorable photos that will be uploaded to this Facebook page. Please wear comfortable yoga or athletic clothing. Shorts are recommended during the summer months. We do have a 10 person minimum for the class to proceed. If we do not hit that minimum we will cancel the class and issue you a full refund.